Dragon Welding is not an album that in the first minutes of listening presents itself as a gift for my ears. In fact I noticed a certain resentment to the extremely busy and noisy 'The Builders'. The unrelenting sound and beat that simply go on and on, distracting me from what also goes on in the song. Like a clue in an escape room that keeps eluding me. 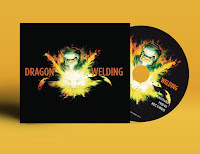 Dragon Welding is Andrew Golding who releases his first solo album under the anagram of his own name. Golding was a member of The Wolfhounds since the mid 80s and played and sang on all six albums released between 1986 and 1990 and in the 10s. Come 2019 it is time for a solo effort. Dragon Welding touches on many styles, moods and sounds. As already mentioned 'The Builders' is all over the place, with Golding's voice as resting point, like the eye of the hurricane. In a way his voice is glued on to the rest. After this onslaught, that I start to appreciate more and more, Dragon Welding touches on a history of U.K. music. In 'These are Dangerous Time' the singing and melody brings David Gilmour (led Pink Floyd) to mind. The music is far too lively to be able to do so. In 'Slap' an African rhythm is mixed with a loud hardrock guitar melody/solo. It becomes clear that on Dragon Welding Andrew Golding was not in for laying barriers on his creativity. It was allowed to explore any way it wanted to go and scrap later where things didn't work. The result is a very varied album, almost an understatement, with the listener unable to predict whatever could be next. If there is a pattern, it is the busy, sometimes even extreme rhythms and use of lead instruments and the laidback singing of Golding. Around him it all twirls around, with his voice in the middle keeping things together. Take 'Join The Dots'. The drums play the same pattern without any variation. Chord changes are kept to a minimum for large parts of the song. All the instruments play a pattern on and on. A cadence is created, almost hypnotizing. A lead guitar flies in, but also plays basically the same notes over and over. It all blends into one major force. 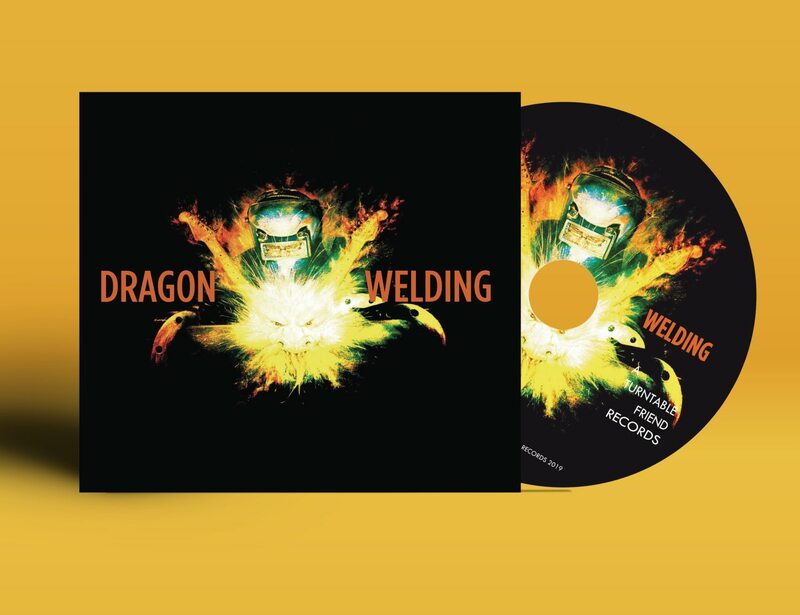 This is not totally typical for Dragon Welding but certainly a major part of the album. Another impression I get, is that Golding has taken the songs he had written to the demolition squad before bringing out his welding kit and add new elements. Take the electronic 'The Dumb'. This song most likely was composed on a guitar or keyboard. That was only the start for Andrew Golding. The outcome is a totally different beast. Next up is 'Bucket List No. 1', a folk outing on acoustic guitar like led Zeppelin used to be good at. Jimmy Page's technique of playing certainly can be heard here. In 'Bucket List No. 2' Golding also sings over the same melody. He keeps the song acoustic and steps away wisely in one way as now it is his own song, sadly he doesn't in the other because it would have been great to hear a Led Zeppelin like explosion in a new song. I'm not certain what I prefer, I notice. My mind keeps longing for a John Bonham drum pick up though, followed by the rest. Nearing the end of the album even now the surprises keep coming. 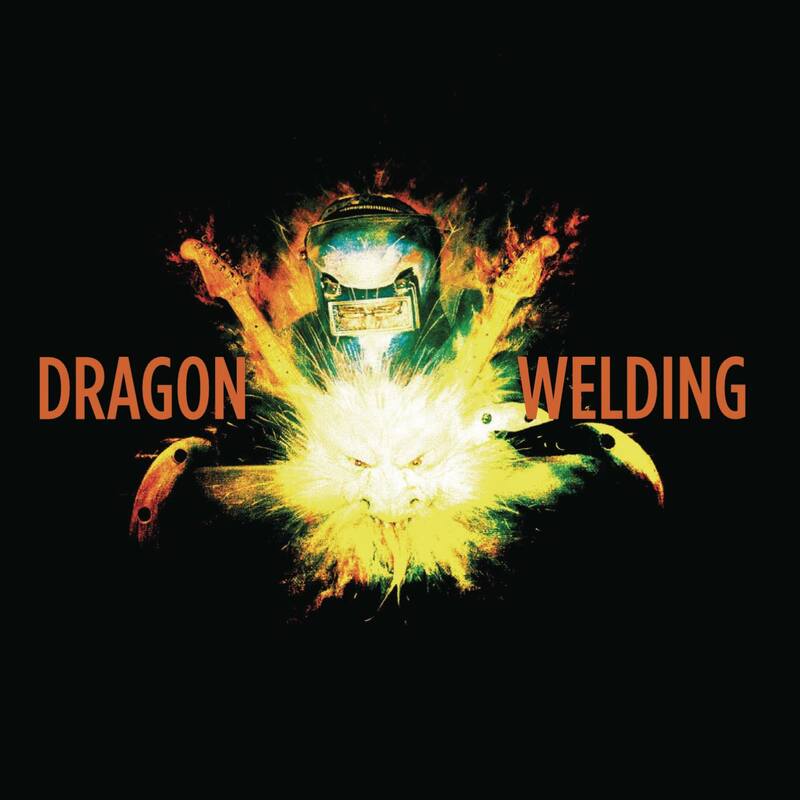 In other words Dragon Welding is an adventure, something that I can try to describe yet it will only truly be grasped by giving it a try yourself and preferably more than one. It took me more than one for certain. All I can do to goad you onwards is that I heard this little something that told me to revisit and I did and did again. Perhaps you will too.